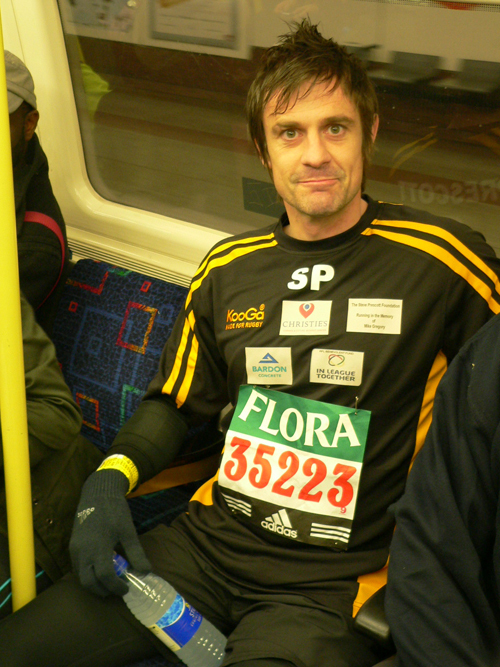 The devastating news of Steve Prescott’s passing has deeply saddened thousands of people world-wide who have been inspired by his terrific fighting spirit in adversity. A local lad, Steve graduated to the First team at Knowsley Road and established himself as a fantastic attacking full-back, with great pace and elusiveness. 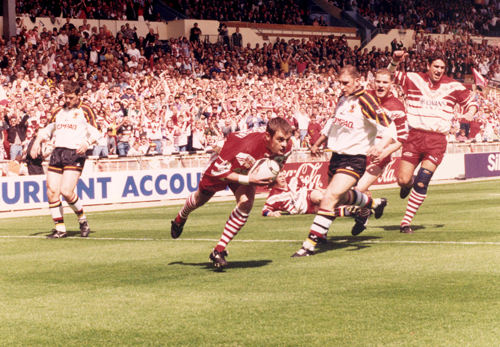 He was a member of the team that won the Super League title in 1996 and a Wembley ‘double’ in 1996 and 1997, before his transfer to Hull. 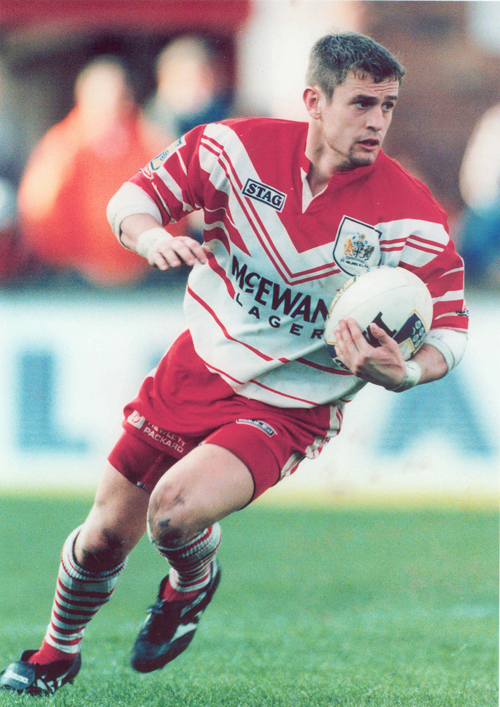 He made his debut in 1993 and went on to make 117 appearances for the Saints over the next four years, scoring 52 tries and kicking 66 goals. 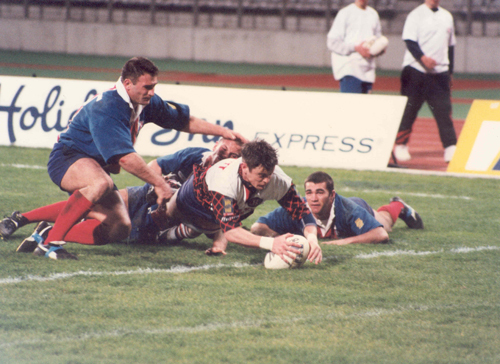 Steve was selected for the Great Britain tour in 1996 and is also a county representative and played for England and Ireland, the latter in the 2000 World Cup. 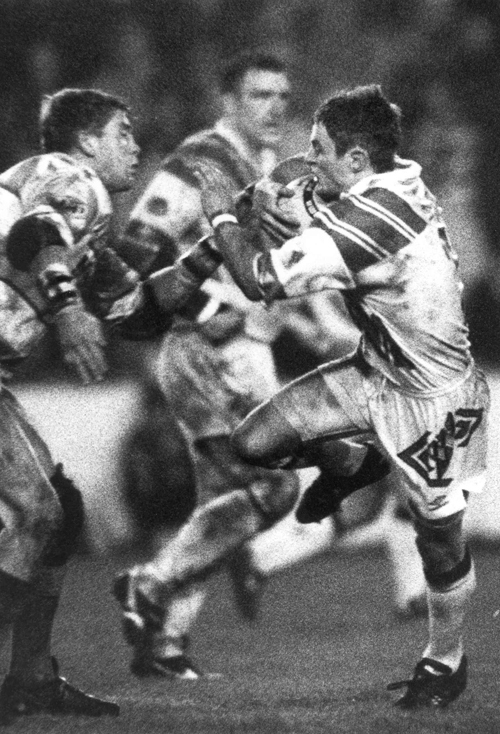 News of his illness in 2006 understandably shocked the rugby league community, yet Steve continued to show the characteristics that he had shown as a player. He was always competitive; resilient, courageous and, above all, inspirational. His marvellous achievements – including the reward of the MBE in 2009 - have left a legacy that must be a tremendous source of pride to his devoted family, including his wife, Linzi and sons Taylor and Koby. An engaging character, who made countless friends, Steve would not want anyone to be depressed at this sad time. However, his deepest wish would be for those who have helped him to continue to help others who are similarly afflicted in any way – wherever they may be. His astonishing legacy can be even more enduring as a result. Rest in peace Steve…you will never be forgotten.